During your visit we hope you will visit our store which is located in the historic Columbian hotel. Our unit is part of the old bar of the Columbian hotel which means that Bat Masterson, Doc Holliday, Wyatt Earp and many others once drank and gambled in this very location. Opened in August, 2017, BUCKETS is the home to Trinidad's only real Texas-style BBQ, ice cold brews, a full bar, plenty of outdoor dining space on our huge deck or backyard, live entertainment, games for adults and even some for the kiddos. We are located on Elm Street across from the old train depot so stop by, say "Hi" and try the smoked ribs! Jeff would like to thank all of those supporters that have shared their encouragement and excitement for BUCKETS. Let's have some fun. PURGATOIRE gathers rare and “museum quality” artifacts from authentic and legendary tribes who originally settled in the Southwest for Purgatoire River Trading Company. Her propensity for understanding these diverse cultures surrounds her forward-looking philosophy of working as a team to preserve the past. Enjoy experiences such as an evening stroll along our Riverwalk or cast your morning lure in an effort to snag a prized trout. After an afternoon of downtown shopping, visit one of our restaurants. From rustic pizza to singing waiters, Trinidad has something for every taste and style. In addition to our food establishments, visit one of our food trucks or our farm-to-table venues like Comida Market or our local Farmers’ Market. Located in the historic town of Trinidad, Colorado, the SCRT is southern Colorado’s theatrical jewel. It produces a professional summer season, a year-round resident season, and youth-oriented programs throughout the year. Tony's Diner, Located on Main Street is a great place for good home cooked meals without the mess and clean-up. Great burgers and fries as well as hot dogs, chicken and enchiladas plus breakfast served all day at a price you can afford. And don't be surprised if Tony stops by for a chat. Still can't find what you are looking for? Contact us and one of our representatives will contact you shortly with additional information. Information herein deemed reliable, but not guaranteed. 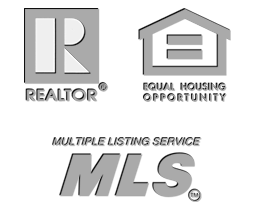 This is a one-stop real estate website for all your home buying and selling needs in Colorado. Contact us if you'd like more information on finding your dream home or property or preparing to sell.